Waist bags There are 8 products. 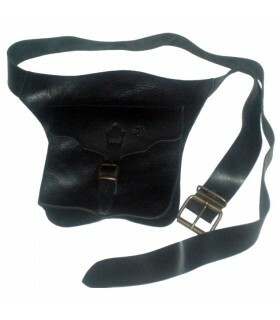 Fanny bag made of very soft grain leather black with double inside pocket. Adjustable belt. 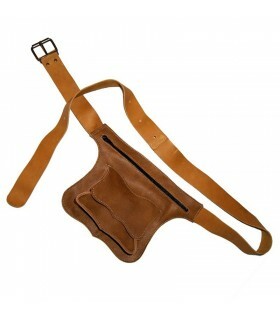 Pull leather fanny pouch. Adjustable belt buckle and double inside pocket. The maximum size of the belt is 120 cms. For larger sizes Indicate when ordering your waistline. 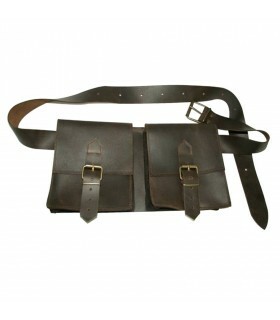 Waist held in aged brown calfskin. 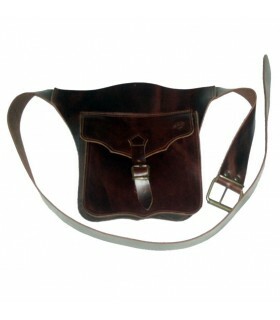 Adjustable with a belt buckle and double inside pocket and topped with a hand-stitched. Measures 18 x 12 centimeters. 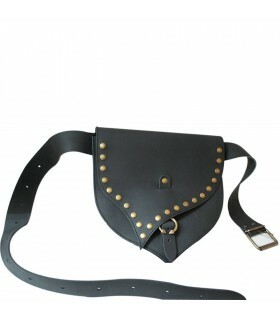 Leather fanny on black flower. 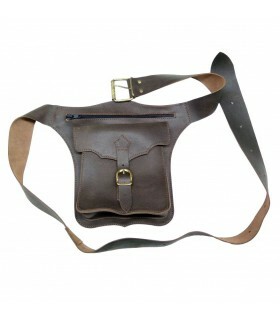 Adjustable with a belt buckle and double inside pocket and topped with a hand-stitched. Measures 18 x 12 centimeters. 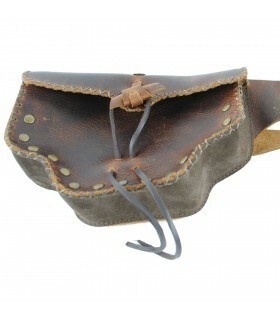 medieval bag made of leather with metallic trim. Belted built. Measures 23 Cnt. wide x 23 Cnt. high. Waist belt with double built. Made of leather with lubrication craft. Adjustable belt and buckle. Double pocket. Measures 33 wide x 17 high and each pocket 17 x 15 cms. 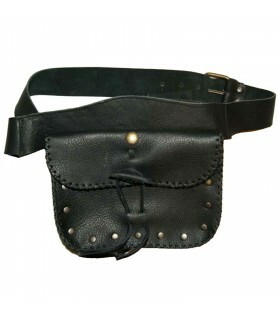 Fanny pack made of leather, adjustable with a belt buckle and double inside pocket with another rack.